NBC has lopped off the episode order for brilliant superhero farce (right?) 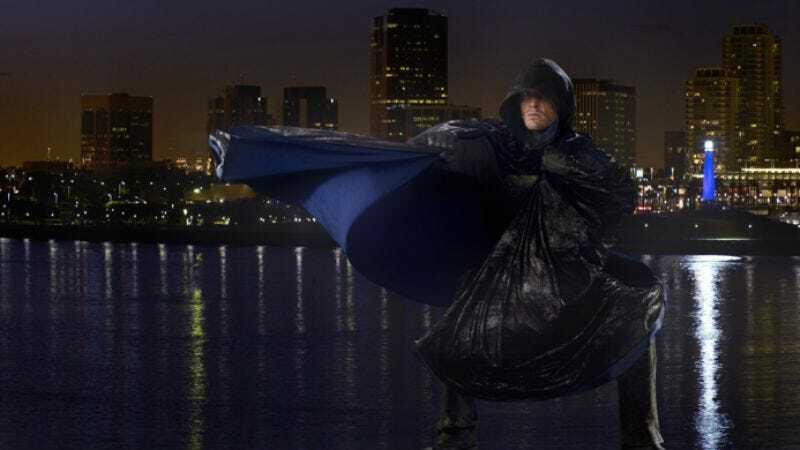 The Cape, reducing the total number from 13 to 10—which means the show has already halted production, having just completed that tenth episode. We would say we hope they were able to wrap up all of their storylines in a logical and satisfying way, but if you’ve seen The Cape, you know that’s not really an issue. In fact, it would almost be better if the show ended on some insane cliffhanger that just added to The Cape’s fever dream mystique, seeing as it’s been destined for a place of honor in late-night bong-aided reveries since day one. In all sincerity, we're going to miss it, but we'll probably enjoy missing it even more than watching it.